An antibody (Ab), also known as an immunoglobulin (Ig), is a large, Y-shape protein produced by plasma cells that is used by the immune system to identify and neutralize pathogens such as bacteria and viruses. The antibody recognizes a unique molecule of the harmful agent, called an antigen, via the variable region. 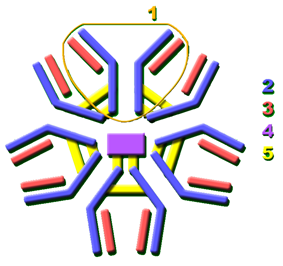 Each tip of the "Y" of an antibody contains a paratope (analogous to a lock) that is specific for one particular epitope (similarly analogous to a key) on an antigen, allowing these two structures to bind together with precision. Using this binding mechanism, an antibody can tag a microbe or an infected cell for attack by other parts of the immune system, or can neutralize its target directly (for example, by blocking a part of a microbe that is essential for its invasion and survival). The ability of an antibody to communicate with the other components of the immune system is mediated via its Fc region (located at the base of the "Y"), which contains a conserved glycosylation site involved in these interactions. 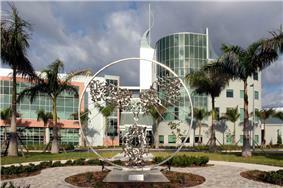 The production of antibodies is the main function of the humoral immune system. Antibodies are secreted by cells of the adaptive immune system (B cells), and more specifically, differentiated B cells called plasma cells. Antibodies can occur in two physical forms, a soluble form that is secreted from the cell, and a membrane-bound form that is attached to the surface of a B cell and is referred to as the B cell receptor (BCR). The BCR is found only on the surface of B cells and facilitates the activation of these cells and their subsequent differentiation into either antibody factories called plasma cells or memory B cells that will survive in the body and remember that same antigen so the B cells can respond faster upon future exposure. In most cases, interaction of the B cell with a T helper cell is necessary to produce full activation of the B cell and, therefore, antibody generation following antigen binding. Soluble antibodies are released into the blood and tissue fluids, as well as many secretions to continue to survey for invading microorganisms. Antibodies are glycoproteins belonging to the immunoglobulin superfamily; the terms antibody and immunoglobulin are often used interchangeably. Though strictly speaking, an antibody is not the same as an immunoglobulin; B cells can produce two types of immunoglobulins - surface immunoglobulins, which are B cell receptors; and secreted immunoglobulins, which are antibodies. So antibodies are one of two classes of immunoglobulins. Antibodies are typically made of basic structural units—each with two large heavy chains and two small light chains. There are several different types of antibody heavy chains based on five different types of crystallisable fragments (Fc) that may be attached to the antigen-binding fragments. The five different types of Fc regions allow antibodies to be grouped into five isotypes. Each Fc region of a particular antibody isotype is able to bind to its specific Fc Receptor (except for IgD, which is essentially the BCR), thus allowing the antigen-antibody complex to mediate different roles depending on which FcR it binds. The ability of an antibody to bind to its corresponding FcR is further modulated by the structure of the glycan(s) present at conserved sites within its Fc region. The ability of antibodies to bind to FcRs helps to direct the appropriate immune response for each different type of foreign object they encounter. For example, IgE is responsible for an allergic response consisting of mast cell degranulation and histamine release. IgE's Fab paratope binds to allergic antigen, for example house dust mite particles, while its Fc region binds to Fc receptor ε. The allergen-IgE-FcRε interaction mediates allergic signal transduction to induce conditions such as asthma. Antibody and antigen interact by spatial complementarity (lock and key). The molecular forces involved in the Fab-epitope interaction are weak and non-specific - for example electrostatic forces, hydrogen bonds, hydrophobic interactions, and van der Waals forces. This means binding between antibody and antigen is reversible, and the antibody's affinity towards an antigen is relative rather than absolute. Relatively weak binding also means it is possible for an antibody to cross-react with different antigens of different relative affinities. Antibodies can come in different varieties known as isotypes or classes. 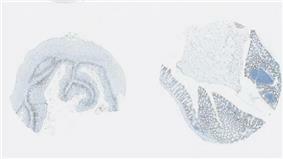 In placental mammals there are five antibody isotypes known as IgA, IgD, IgE, IgG, and IgM. They are each named with an "Ig" prefix that stands for immunoglobulin, a name sometimes used interchangeably with antibody, and differ in their biological properties, functional locations and ability to deal with different antigens, as depicted in the table. 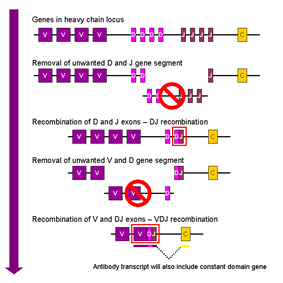 The different suffixes of the antibody isotypes denote the different types of heavy chains the antibody contains, with each heavy chain class named alphabetically: α, γ, δ, ε, and μ. This gives rise to IgA, IgG, IgD, IgE, and IgM, respectively. The antibody isotype of a B cell changes during cell development and activation. Immature B cells, which have never been exposed to an antigen, express only the IgM+ isotype in a cell surface bound form. The B lymphocyte, in this ready-to-respond form, is known as a "naive B lymphocyte." The naive B lymphocyte expresses both surface IgM+ and IgD+. The co-expression of both of these immunoglobulin isotypes renders the B cell ready to respond to antigen. B cell activation follows engagement of the cell-bound antibody molecule with an antigen, causing the cell to divide and differentiate into an antibody-producing cell called a plasma cell. In this activated form, the B cell starts to produce antibody in a secreted form rather than a membrane-bound form. 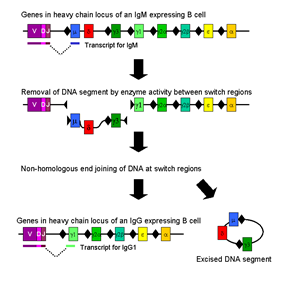 Some daughter cells of the activated B cells undergo isotype switching, a mechanism that causes the production of antibodies to change from IgM or IgD to the other antibody isotypes, IgE, IgA, or IgG, that have defined roles in the immune system. Found in serum and egg yolk. 3. Heavy chain (blue) with one variable (VH) domain followed by a constant domain (CH1), a hinge region, and two more constant (CH2 and CH3) domains. 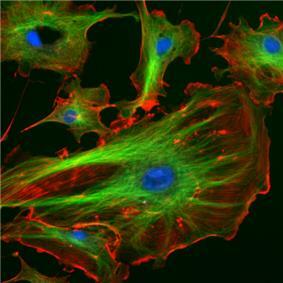 In birds, the major serum antibody, also found in yolk, is called IgY. It is quite different from mammalian IgG. However, in some older literature and even on some commercial life sciences product websites it is still called "IgG", which is incorrect and can be confusing. In summary, whilst the Fab region of the antibody determines its antigen specificity, the Fc region of the antibody determines the antibody's class effect. Since only the constant domains of the heavy chains make up the Fc region of an antibody, the classes of heavy chain in antibodies determine their class effects. Possible classes of heavy chains in antibodies include alpha, gamma, delta, epsilon, and mu, and they define the antibody's isotypes IgA, G, D, E, and M, respectively. This infers different isotypes of antibodies have different class effects due to their different Fc regions binding and activating different types of receptors. Possible class effects of antibodies include: Opsonisation, agglutination, haemolysis, complement activation, mast cell degranulation, and neutralisation (though this class effect may be mediated by the Fab region rather than the Fc region). It also implies that Fab-mediated effects are directed at microbes or toxins, whilst Fc mediated effects are directed at effector cells or effector molecules (see below). At the prenatal and neonatal stages of life, the presence of antibodies is provided by passive immunization from the mother. Early endogenous antibody production varies for different kinds of antibodies, and usually appear within the first years of life. Since antibodies exist freely in the bloodstream, they are said to be part of the humoral immune system. 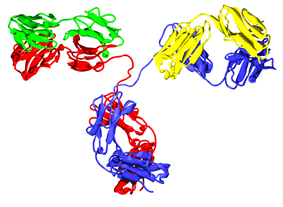 Circulating antibodies are produced by clonal B cells that specifically respond to only one antigen (an example is a virus capsid protein fragment). Antibodies contribute to immunity in three ways: They prevent pathogens from entering or damaging cells by binding to them; they stimulate removal of pathogens by macrophages and other cells by coating the pathogen; and they trigger destruction of pathogens by stimulating other immune responses such as the complement pathway.Antibodies will also trigger vasoactive amine degranulation to contribute to immunity against certain types of antigens (helminths, allergens). Those cells that recognize coated pathogens have Fc receptors, which, as the name suggests, interact with the Fc region of IgA, IgG, and IgE antibodies. The engagement of a particular antibody with the Fc receptor on a particular cell triggers an effector function of that cell; phagocytes will phagocytose, mast cells and neutrophils will degranulate, natural killer cells will release cytokines and cytotoxic molecules; that will ultimately result in destruction of the invading microbe. The activation of natural killer cells by antibodies initiates a cytotoxic mechanism known as antibody-dependent cell-mediated cytotoxicity (ADCC) - this process may explain the efficacy of monoclonal antibodies used in biological therapies against cancer. The Fc receptors are isotype-specific, which gives greater flexibility to the immune system, invoking only the appropriate immune mechanisms for distinct pathogens. This serves to increase the diversity of the antibody pool and impacts the antibody's antigen-binding  Thus, B cells expressing antibodies with a higher affinity for the antigen will outcompete those with weaker affinities for function and survival. The process of generating antibodies with increased binding affinities is called affinity maturation. Affinity maturation occurs in mature B cells after V(D)J recombination, and is dependent on help from helper T cells. Further work concentrated on characterizing the structures of the antibody proteins. A major advance in these structural studies was the discovery in the early 1960s by Gerald Edelman and Joseph Gally of the antibody light chain, and their realization that this protein is the same as the Bence-Jones protein described in 1845 by Henry Bence Jones. 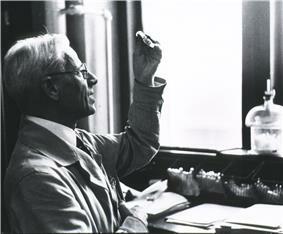 Edelman went on to discover that antibodies are composed of disulfide bond-linked heavy and light chains. Around the same time, antibody-binding (Fab) and antibody tail (Fc) regions of IgG were characterized by Rodney Porter. Together, these scientists deduced the structure and complete amino acid sequence of IgG, a feat for which they were jointly awarded the 1972 Nobel Prize in Physiology or Medicine. The Fv fragment was prepared and characterized by David Givol. While most of these early studies focused on IgM and IgG, other immunoglobulin isotypes were identified in the 1960s: Thomas Tomasi discovered secretory antibody (IgA) and David S. Rowe and John L. Fahey identified IgD, and IgE was identified by Kimishige Ishizaka and Teruko Ishizaka as a class of antibodies involved in allergic reactions. In a landmark series of experiments beginning in 1976, Susumu Tonegawa showed that genetic material can rearrange itself to form the vast array of available antibodies.